Jones designed these 4-4-4T locomotives to solve a problem experienced with the Class G 0-6-4T (LNER M2) locomotives. Running the relatively long wheelbase of the 6-coupled wheels on the tight curves of the Metropolitan Railway, led to frame stresses and even some breakages. 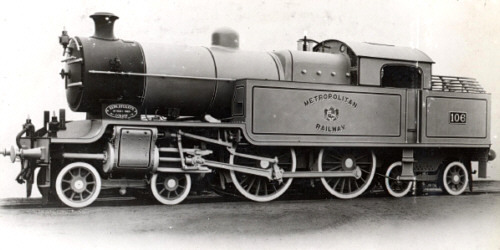 Hence, Jones chose a 4-4-4T design with a shorter driving-wheel wheelbase, but a similar size boiler. The cylinders were reduced in size. A total of eight locomotives were built between 1920 and 1921. After the Metropolitan Railway became a part of London Transport in 1933, the steam operations were reduced in favour of a greater emphasis on electrical power. From 1st November 1937, the LNER took responsibility for working trains north of Rickmansworth on the Metropolitan Line. Hence, the H2s came into LNER ownership in 1937. In 1941, the H2s were moved from the London area to Nottingham to work the Nottingham suburban services. Some also worked the Lincoln-Chesterfield line. They were never popular in the Nottingham area, and developed a reputation for being poor steamers. Withdrawal started in 1942, although most were kept on due to wartime shortages. The last H2 was withdrawn in 1947. Heating Surface: Total: 1321 sq.ft. None of the H2s survived into preservation. 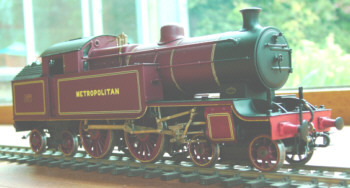 John Armstrong has commissioned a limited run kit of the H2 for 4mm scale, from Worsley Works. See this forum posting for details. Quainton Road Models created a 7mm scale (O gauge) kit of the Class H2 locomotives. The last batch was made in 2007, and all have now been sold. Thank you to John Birch for the photograph of his 7mm scale model of the Class H2. Thank you to Malcolm Peirson for the works photograph of Metropolitan No. 106. Thank you to the Mike Morant Collection for the photograph of No. 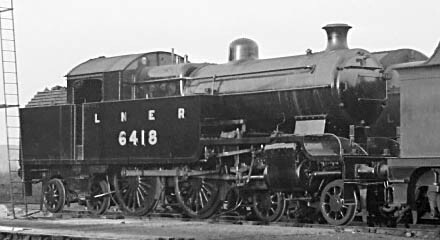 6418 in LNER livery.